Fall Challenge! Give Up Gossip! There is an excellent, excellent post on Tricycle magazine’s blog right now called, “7 Tips for Giving Up Gossip.” I urge you to go check it out. All of these tips are so awesome I could weep; but, instead I challenge you and even though I don’t get much commenting on this blog, I know you’re out there because WordPress keeps stats! So, dear readers, I challenge you to choose one or two of these tips and put them into practice this Fall and see what happens. I don’t dislike many people; but, I admit that there are some folks that I don’t particularly enjoy/like, whatever you want to call it and I tend to avoid them. I think this also lends itself to participating in conversations about these folks because I am disconnected from them. That is why I have chosen this one. I’m going to seek these folks out and try to say something kind probably not every day; but, several times a week and see what happens to my willingness to talk about them, even if I’m defending them which seems to happen a lot. It is like I’ve taken on the role of being the one to come up with scenarios and/or excuses for the way people act. But really, I shouldn’t be discussing other people at all. I’m going to try that for the next few months. Perhaps it will just become a habit or practice. That would be nice. And feel free to share which one you are going to tackle and why in the comments section! If someone wants help finding articles on a topic and I help them, but make them feel bad about it, they won’t feel like they got help. It won’t matter if they leave with a stack of articles and an armload of books that are perfect for them. If I’m a jerk, that’s all they’ll remember. Kate Sheehan in the preceding post. This is one of the points in my interview with Kate Sheehan that particularly struck me. It really is that simple. It works the opposite way too. If you’ve been nice and were helpful, even if you don’t have exactly what they need or the answer they were looking for, they still leave having a positive experience. It’s not just important to appear helpful. It’s important to BE helpful. Sometimes, it’s easy to just say, “No, we don’t have it.” And be done. But, it is the next step that can win the hearts of customers. “No, we don’t have it; but, I can see if it is available through ILL.” or “No, we don’t have that particular item; but, could I suggest something else along similar lines?” This is the type of question that builds rapport because it takes the interaction from “do you have?” / “no we don’t” to a conversation and hopefully the patron leaves the library with something that interests them. There is something about brief human interactions with strangers that is just an ingredient in the happiness soup and I don’t think it’s just me and my high level of social behavior. I think most people would enjoy a few sentences between themselves and the folks they interact with during the day. When I shop at Whole Foods, I always look for this one particular cashier because he will generally strike up a conversation about anything. Once, we had a quite lengthy discussion about kid’s breakfast cereals. And I loved that. It is less drudgery to spin through his aisle with my groceries, have a pleasant and brief chat and then head home. And I must admit that this adds to my Whole Foods loyalty. I am a frugal person; but, will spend a bit more for quality food and pleasant experience because it adds to my quality of life. When I lived in the Twin Cities, I frequented two grocery stores: a co-op and a small independent, local chain called Kowalski’s. Both were pricier than the two big box grocers; but, I went to them partly for their product selection but mostly for the experience. If you’ve been reading my blog then you know about my big dramatic accident. While still in a wheelchair, I went to Kowalski’s and the front end manager came running up to me to chat with me about what happened. I did not know this person other than to exchange some pleasantries as she checked me out. Yet, here she was showing concern, letting me know that she cared and offering to help me if I needed it. In Saint Paul, before I worked for the library system, I was a regular patron and the check out staff got to know me for my many holds and regular visits. My partner used to tease me that it was like Cheers because I would walk in and one of the clerks would catch me, “Ann, you have some holds!” Or they would ask me about something we had chatted about previously. “How’s the scarf coming along?” after I picked up a hold on knitting and exchanged project tales with one of the clerks. But, I liked that. I liked that I had a relationship with these folks and this little branch library. It really does not take much to build this rapport: a few extra seconds or a couple of minutes. Sometimes I know we are rushed and crazy; but, slow down a wee bit, acknowledge the person, make sure you have HELPED them. It makes all the difference in the world. Well, my first thought was yay! I’m not alone. There is another librarian co-conspirator, kindness evangelist out there. I must meet her! Unfortunately, I did not get to meet the woman who said those words; but, I did track her down by email at the Darien Public Library in Darien, CT. She blogs at: Loose Cannon Librarian. In the interest of not inconveniencing her too much; I asked her if she would generously answer a few questions for me that I could then share on Civil Civil Servant. I have posted my questions and her responses below, only editing a typo or two and changing the original order. export of your library. You wrote about that comment on your blog. libraries and why you believe it to be our chief export? My dear friend is a med student (actually, she’s in an M.D./Ph.D program, so when she’s done, I get to call her “Dr. Dr.”) and I was visiting her when she was taking this class that was (to my untrained eye) the bedside manner class. I started calling it her “how to be a person” class. Med schools have figured out that bedside manner is important. Medical types even studied it: http://www.time.com/time/health/article/0,8599,1659065,00.html Most of us aren’t doctors, and we don’t have the skills to judge our medical care on anything but our interactions with our doctors, so that’s how people decide if their doctor is “good” or not. A doctor can give an accurate medical explanation of something, but we can’t hear it if all we’re thinking about is how much of a jerk s/he’s being. We don’t have to worry about malpractice in our profession, but we should take note. If someone wants help finding articles on a topic and I help them, but make them feel bad about it, they won’t feel like they got help. It won’t matter if they leave with a stack of articles and an armload of books that are perfect for them. If I’m a jerk, that’s all they’ll remember. If I’m nice to them and they feel like I’m on their side in tackling their problem, they’ll have good warm fuzzy feelings about the library and they’ll feel helped. I think kindness is something we all need. Working with the public can be exhausting and we have to be kind to each other and ourselves. Front lines staff need back rooms where they can let off steam and management that understands that someone in the back grousing isn’t necessarily going to provide bad service when they get back in front of the public. 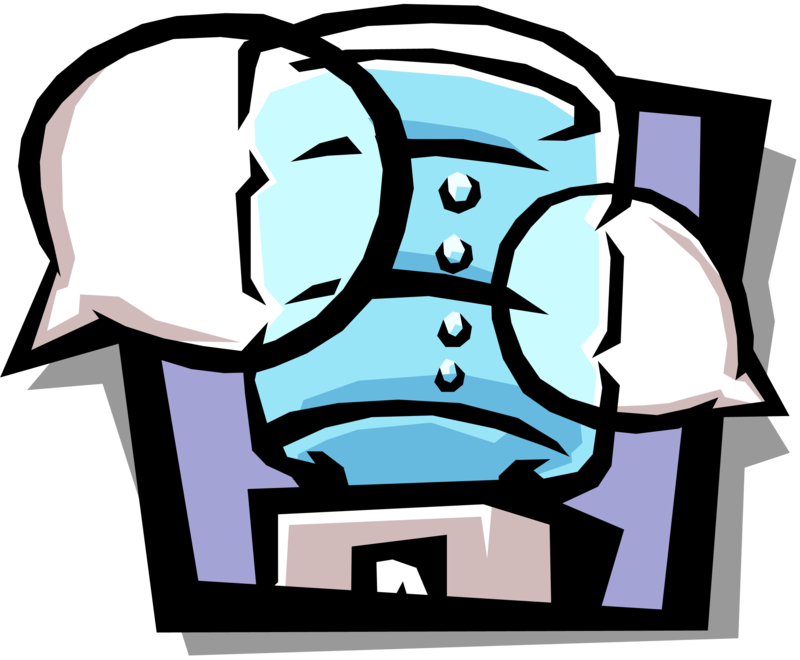 Of course, there are nuances to all of this – chronic complainers can be poisonous to organizational culture, but even the most saintly among us are going to have days where they are “out of nice” and that’s okay. Also, as everyone who works on the front lines know, there are always going to be upset patrons who can’t be placated, no matter how nice and accommodating we are and there are always going to be mismatches. That is, there will always be those people who don’t like your brand of kindness, no matter what. I’m not advocating smiles and hearts and teddy bears and a total disconnect from reality. 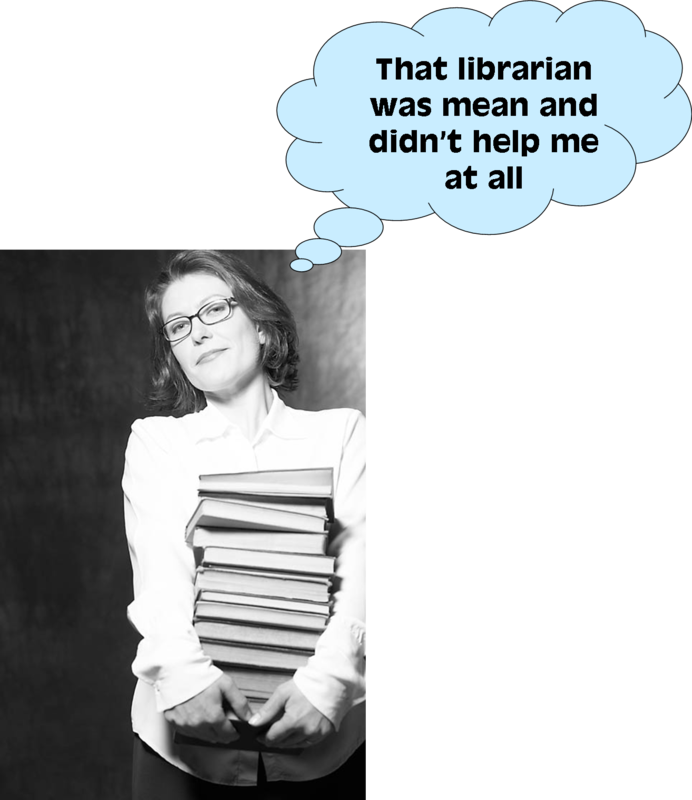 Nor am I saying that kindness trumps good librarianship – you can’t be nice and give people bad information – or that we have to be doormats for abusive people. We have to be kind to each other and ourselves as a foundation for being kind to our patrons. Not to my face, but I’m sure it’s out there. How do you approach resistance? Resistance to kindness? I think most people aren’t going to come out against kindness, exactly. I’m sure there are people who think it’s too touchy feely and too soft and fuzzy to be taken seriously. It is touchy feely to talk about and focus on kindness. But I do think it’s a big part of being a service organization. People shop at stores with nice and helpful staff, they use companies where the employees are nice to them. the impact of that choice? That’s an interesting question. There are a lot of studies about kindness and altruism having positive effects on us (I’d like to put in a plug for CogSciLibrarian – both the blog and on twitter for great links to fascinating research about what makes us tick). I like to joke that everyone should have to work retail for a period of time because once you’ve done the job, you won’t be rude to store clerks ever again. It’s easier to be nice to people when we can imagine ourselves in their shoes. I’ve focused in on the word kindness because I think it helps to have a focal point, but I don’t want to be too glib. It’s easy to get into bumper sticker idealism and that’s not realistic. Everyone has bad days, everyone gets grouchy or feels put upon sometimes. But I think if we look past those moments with the people in our lives and make an effort to forgive ourselves and each other for our bad days, it really does result in more happiness for ourselves and better interactions with each other and our patrons. cultivate this belief system in yourself? Both of my parents are social workers and a lot of their friends are in mental health as well. I grew up around a lot of people who help other people for a living. There’s a certain kind of gallows humor that goes with those fields, I think. But there’s also an intense interest in other people’s experiences. When we had people over for dinner, the entire conversation could be taken up talking about other people and how they operated in the world. People who work that closely with other people are so immersed in seeing things from everyone’s point of view. I think it could be seen as a weakness, that ability to see a situation from all sides and it can be almost paralyzing. To put it in a bumper sticker quote: “Be kind, for everyone you meet is fighting a hard battle” (which I think gets attributed to Plato, but I’m not sure of the accuracy). None of this is to say that I’m kind and understanding all the time, just that I try. I can see how important it is to be kind by my own bad days. I knew I would love this post and I do. There are so many things that Kate shared that resonate with me which perhaps will be a post in itself in the next week or so. I can’t thank Kate enough for sharing her beliefs with us. On August 31st she published a post on her blog entitled Auditing Kindness. It is filled with some great ideas. I suggest you head over there and participate in the discussion she has started.